This is a dual-stick multiplayer combat game. 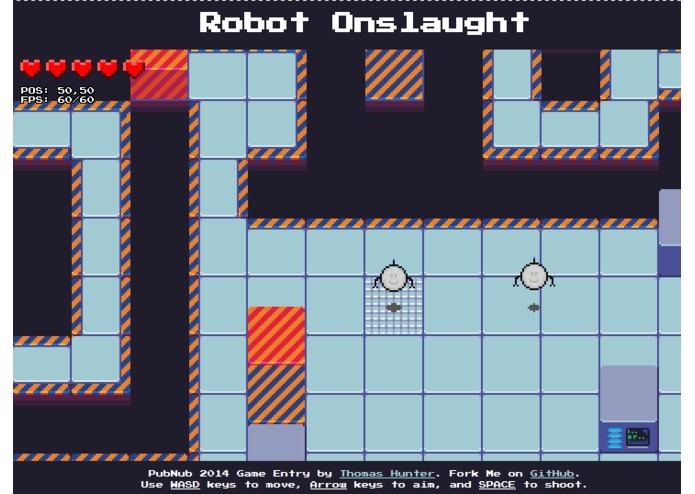 You play as a robot who runs around shooting other robots. 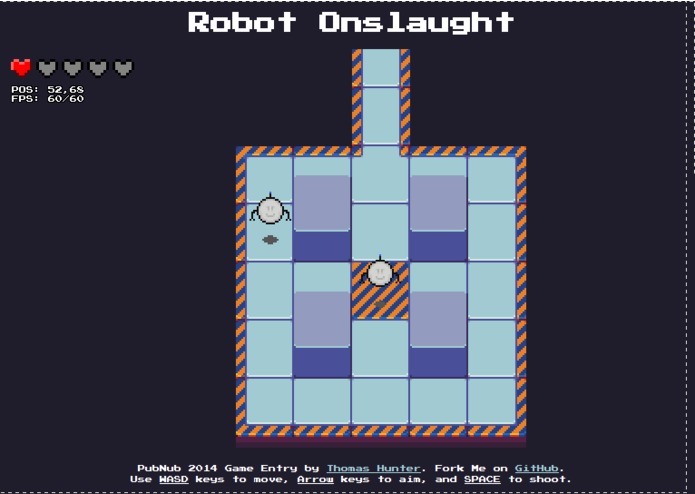 The WASD keys control the robots movement while the Arrow keys control the direction the bullets will be fired in. The game design is entirely serverless, it just needs a place to host the files and a connection to the PubNub network and it works. Inspiration comes from a pretty old game called GunRoar, which had a dual-stick mode.